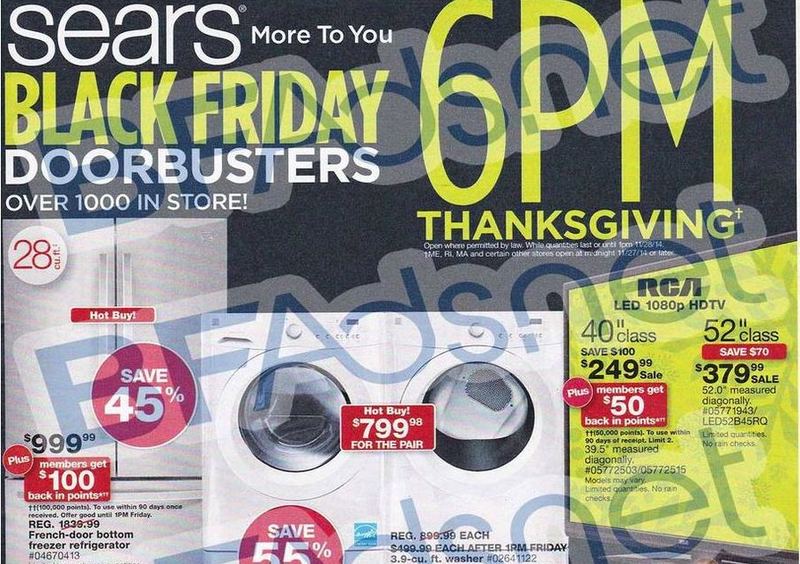 MamaBreak: Sears Black Friday 2014 Ad Scan!!!!! Here we go! FINALLY a BIG store with their ad scan! Sears Black Friday Ad SCAN!!!!! Opening at 6 p.m. on Thanksgiving. Make sure you are a member of the SYW program, because there are a lot of special deals of getting points back. You will get $10 in points back for spending $50 at the least, so if you are heading to Sears, make sure you join! The non-appliance, non-car items start on page 7! This post contains affiliate links. MamaBreak may earn a commission from each click thru on the site. This will not impact your viewing experience. We thank you for supporting MamaBreak.